Dry eye is a very common issue that affects millions of Americans. Dry eye occurs when the eye fails to produce tears or when the quality of the tears are poor. At Louisiana Eye and Laser, we specialize in the treatment of dry eye disease by offering state-of-the-art diagnosis and treatment options to the people of Central Louisiana. The tear film is made up of three layers, oil (lipid), water (aqueous) and mucin. The outer most layer is made up of oil, which helps trap our natural tears (water layer) and prevent evaporation of the tears. Think of a glass of water with oil in it. Since oil floats to the surface, this action traps the water within, creating a natural seal. The aqueous layer consist mainly of water. Its function is to lubricate the eye and wash away foreign particles. The mucin layer allows the tears to stick to surface of the eye, providing nourishment for the cornea. If there are any deficiencies in any of the tear film layers, dry eye has the potential to occur. 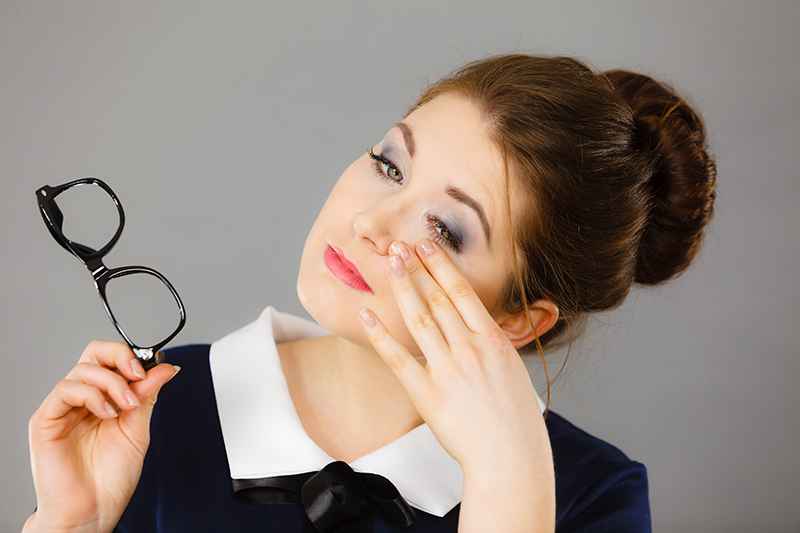 Dry eye symptoms can be quite complex, often interfering with daily activities. Left untreated, dry eye can lead to more serious problems such as corneal ulcers and scarring. One of the most common symptoms of dry eye is, ironically, excessive watering of the eyes. This occurs because tear production can go into overdrive when the eye feels dry. Other common symptoms include burning, scratching and mild to moderate irritation. Dry eye symptoms can also mimic eye allergies. Louisiana Eye and Laser offers our Central Louisiana patients multiple diagnosis and treatment option including the LipiScan Dynamic Meibomian Imager and LipiFlow® Thermal Pulsation System. This system can help diagnose and treat the most common form of dry eye called meibomian gland disease, also known as evaporative dry eye. LipiFlow® allows our team of dry eye experts to treat the cause of dry eye, not just the symptoms. Your meibomian glands are responsible for producing oil, which helps seal in the watery tears of the aqueous layer. When the meibomian glands become clogged, oil production comes to a halt, allowing your eye’s tears to evaporate away. LipiFlow® works by using state-of-the-art thermal pulsation and warm pressure to help clear and revitalize the meibomian glands, allowing for healthy oil / lipid production. In clinical studies, the large majority of patients that underwent LipiFlow® saw significant improvement in their symptoms.